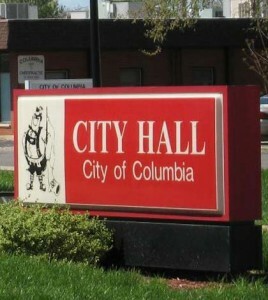 The Columbia City Council Monday night passed its fiscal year 2014-15 budget with only minor changes from the version which has been posted since April 10 on the city’s website for the public to review. Among the changes are an increase of $11,100 in refuse collection fees and a $10,000 decrease in legal expenses. 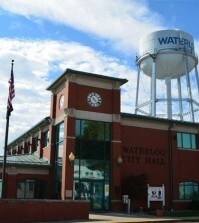 The city will save $65,000 by cleaning the water tank instead of pursuing original plans to paint it, and will spend $3,076 to hire a summer help employee for the city clerk’s office. Columbia City Administrator Al Hudzik said his year’s budget is very similar to the one approved last year. Hudzik also addressed the city’s general fund. “We all know the general fund is the one that creates the most difficulty for the city to keep in balance,” he said. “We’re ending (the year) with approximately $300,000 in there even though we’re showing a deficit. As a comparison, last year we were anticipating a deficit of $189,000. The council passed a motion to hire Michael Evans and Derk Trower to the Columbia Ambulance Service, pending background checks and physicals. Both are from Illinois and have prior experience in the field. City Engineer Ron Williams told the council that grading was completed, concrete has been poured and columns installed for a new pavilion at Metter Park. The pavilion, which will measure 30 feet in width and 36 feet in length, is being funded in part by a donation from the committee that organized the city’s 150th anniversary celebration in 2009. The pavilion should be completed later this spring, weather permitting. Williams also informed the council the public works department has plans to eventually use “radio read” trucks, which can drive by water meters and wirelessly collect the usage data, which would result in decreased manpower needs. There is no specific timeline for implementing this plan. Through efforts of the Columbia Heritage & Preservation Commission, Columbia has been designated as a Certified Local Government. This designation is awarded by the Illinois Historic Preservation Agency and National Parks Service and signifies that Columbia’s historic preservation efforts are at the highest level of practice. It also enables the city to secure additional funding for preservation efforts. Columbia Director of Community and Economic Development Paul Ellis said the city applied for a grant through this program to identify and evaluate current preservation efforts, recommend future efforts, delineate how best to reach preservation goals, and then incorporate everything into the community’s Comprehensive Plan. “We were successful in securing the grant, which underwrites the majority of the costs for employing two consulting agencies, Historical Foundations, Inc. and the HeartLands Conservancy, to help us compile information and write the plan,” he said. The draft plan, headed to the city council for approval next month, identifies historic and prehistoric preservation resources, evaluates those resources and delineates an effective protection program. 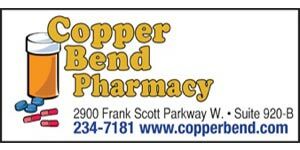 This plan is available for review on the city’s website. The city council will hold a May 5 public hearing to gather public comment. As part of this program, a number of buildings were certified as local landmarks in Columbia. James Piggot Land Claim/Schneider Farmstead, Stone Arch Bridge, Old St. Paul’s Lutheran Church, Gundlach-Grosse Home, Wagner-Gundlach Home, P.W. Briegel Home, William G. Rose Home, First National Bank, Charles Breidecker Home, Nicholas and Anna Ferkel Home, Turner Dance Pavillion, Nolan-Schneider Home, Theodore and Mary Schaefer Home, Warderman Cemetery, Alfred Henckler Home, Immaculate Conception Cemetery, John Weist Home, Conrad Wenkel Old Mill Saloon and Inn, Henry J. Kunz Home, Miller-Fiege Home, Shoemaker Schoolhouse, Rose Mausoleum, James Piggot Land Claim/Schlemmer Farmstead, and Old St. Paul’s Lutheran School.